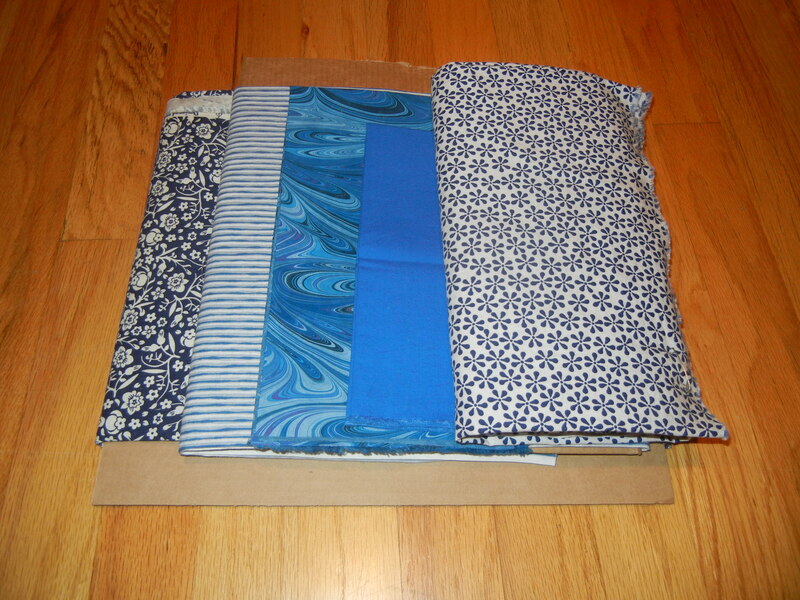 I’ve joined a quilt-a-long hosted by Elizabeth Hartman on her blog ‘Oh Fransson!’ (love that name by the way) Right now I’m trying to decide on the fabrics. 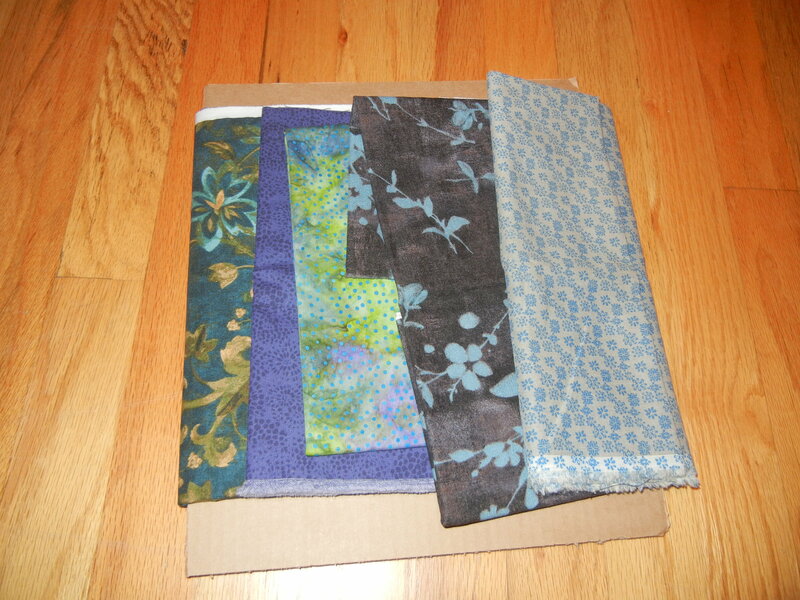 We get to pick five different groups of fabrics of five fabrics each. 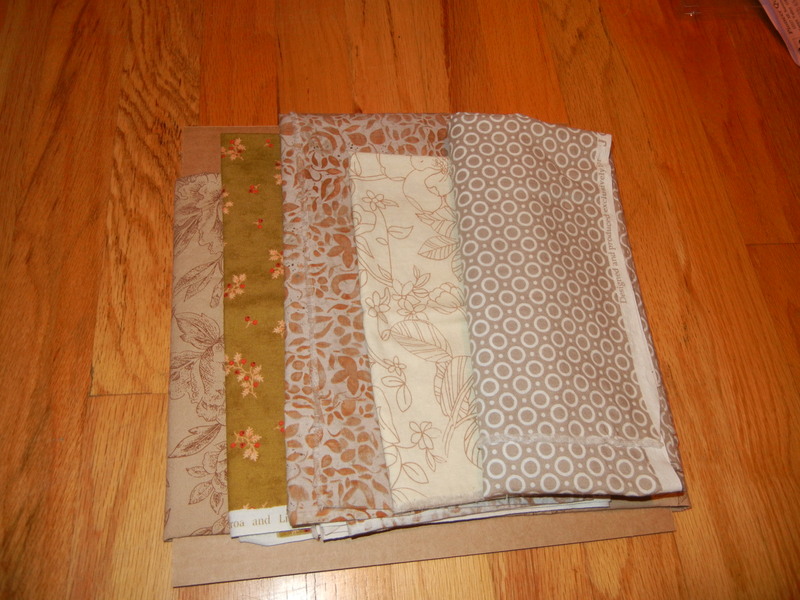 These are the fabrics that I’ve selected. neutrals group 1 – Are these ‘low-volume’? neutrals group 2. Is the fabric second from the right the only ‘low volume’ or are they all? Then for the pop of color I was thinking reds and/or yellows. I had a couple of these in my stash but went shopping for more. 🙂 I also tried to use some of the color theory that Cath (Wombat Quilts) taught at the March guild meeting. With greens and blues I could either go directly across the color wheel to an orangey-red, or go along the color wheel to yellow. I picked yellow – with some splashes of orange. 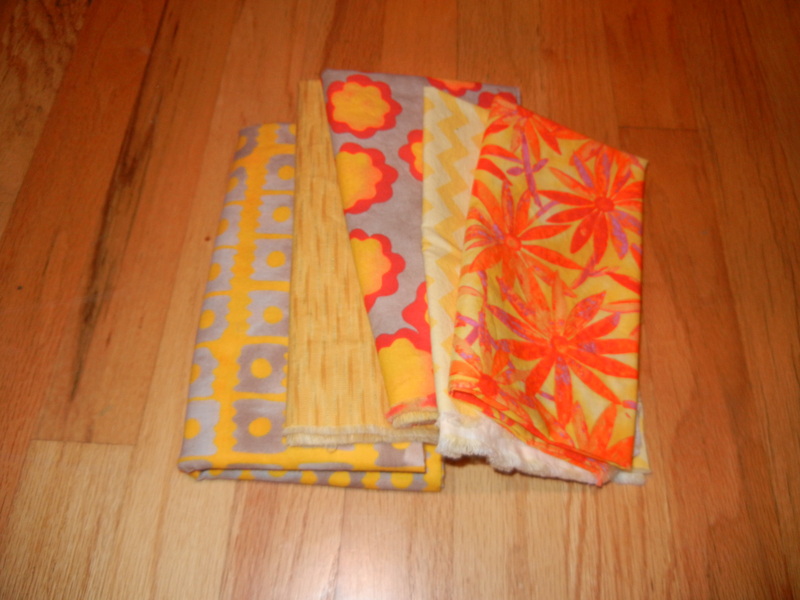 my ‘pops of color’ group – any oh my isn’t that yellow and gray fabric on the left just gorgeous?! 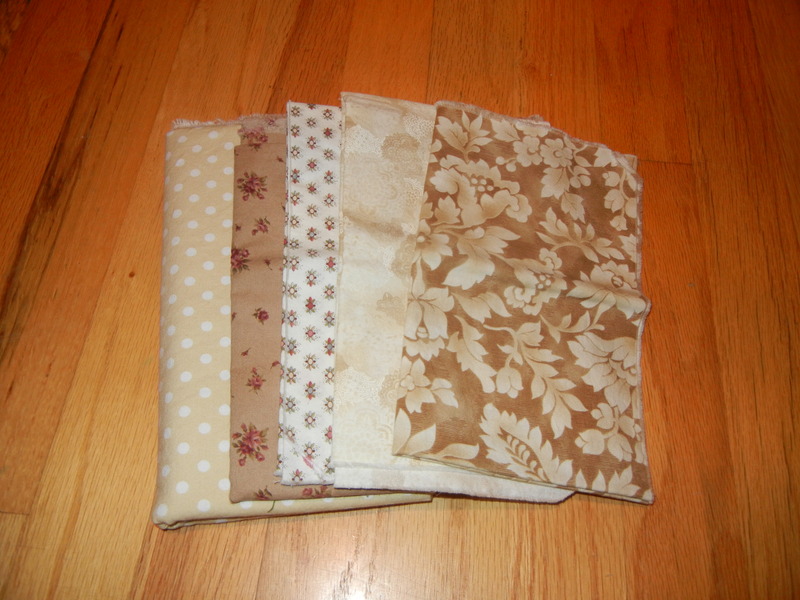 So now I had five groups of five fabrics. But what if it needs some brighter blues? 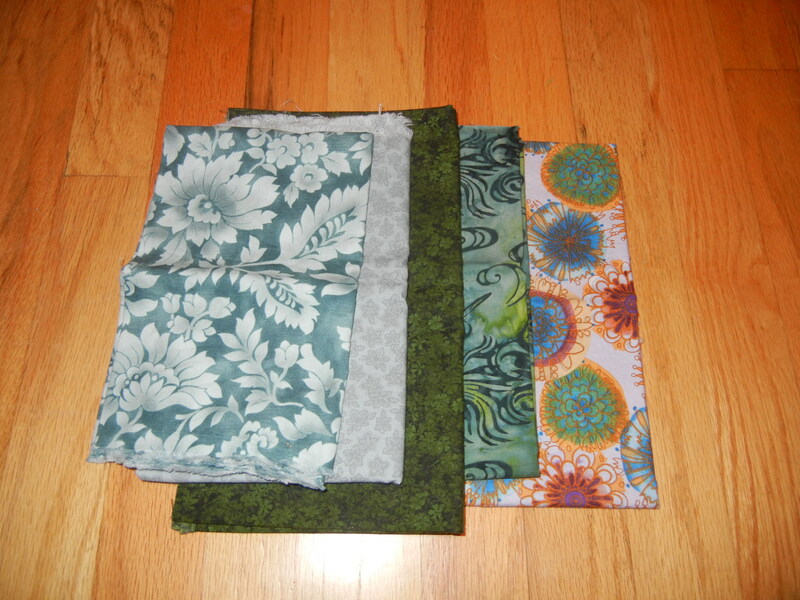 So now I have six groups of fabric and I’m in fabric overload. Maybe I shouldn’t have 2 groups of neutrals because they are too similar? My daughter didn’t like one of the groups of blue-greens. Is she right? I had a great time picking out the individual groups, but expanding those groups into five groups that go together is a challenge. What if I get it wrong?!! I’m going to read through the pattern and see if that sheds any light on how these groups are going to be used together. On the positive side, I did get to try out a new quilt shop, Pioneer Quilts in Clackamas, Oregon. Lots of selection and the staff was very nice. I helped them close down the store on Sunday afternoon.